But part of the fun of covering the Masters this way are the tons of Masters prop betting lines that are formed throughout the course of the week. They are numerous, and cover a wide range of topics. So let’s get into one of the ones that I have not seen until this year. 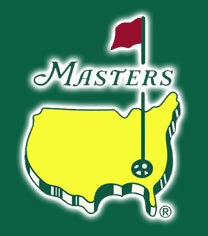 How many letters will there be in the 2012 Masters Champions first name? And if you think about it, you can likely gauge what number you think will be the favorite, or at least right near the top. Go ahead, think about it for a second. Ok, the favorite is four. While T-I-G-E-R has five letters, that is the second overall favorite here. Four leads the way, with names like R-O-R-Y and P-H-I-L, as well as L-U-K-E, all of whom are in the top-five favorites to win this week at Augusta National. And in case you are wondering, the options range from two letters all the way up to eight. Yes, two, we can’t forget about those of the likes of K.J Choi and Y.E Yang, which will count as two letters this week. That is going off at 25/1 though, second-to-last on the betting line only eight which is set at 75/1. Four letters is going off at 7/5 as the favorite, which is just over even money on the dollar amount wagered. Those with five letters in their name can thank Tiger for having that in common, going off at 19/10, or right below 2/1. And for you bettors who view it a daunting challenge to bet on a single golfer for the week, these prop bets are the way to go, still giving you good odds to make a solid profit without having to risk a ton of money. Be sure to visit Bovada and their Golf Props page for a full listing this week from the Masters, simply click on the link in this article to go directly to that page.